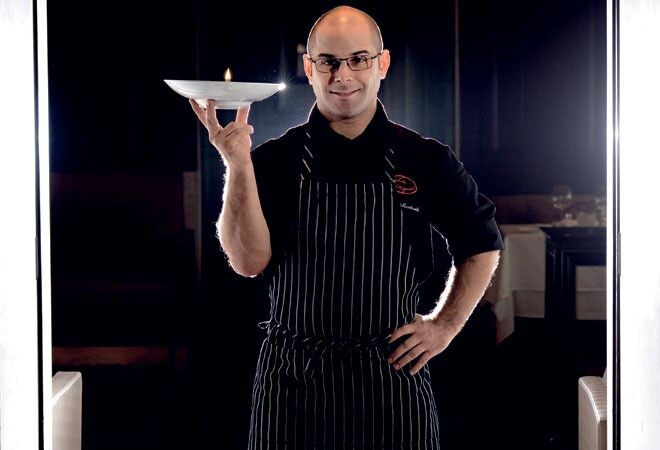 Chef Diego Martinelli's signature dinner spans a culinary journey from Modena to Singapore. Head to Le Cirque at The Leela Palace New Delhi for a sample. The twilight hour in New York City is a wistful fragment in time. The city's intangible charm dissolves into snakeskin satchels, cherry lips, poodles, berets and churros, especially so in the sea of humanity at Times Square, where everyone stops for a slice of the Big Apple. In a niche between fantasy and an unnervingly cosmopolitan urban rush, the vibrant food culture of the city comforts and tantalises in equal measures. From the beckoning whiff of bagel carts to the gleaming interiors of the legendary restaurant Le Cirque, located pat between Lexington and Third Avenues, every bite tells a tale of perfection. The quintessential flavour of New York is elegance with a smidgeon of cheekiness; a city where duck confit and lobster Newburg rub shoulders with corn dogs and honey-roasted almonds. How magical it would be, then, if this eclectic lushness were to be carried halfway across the globe to Le Cirque at The Leela Palace New Delhi. The sprawling seating area, perched on the tenth floor of the majestic property, culminates in a kitchen that breeds flavours. From here, the nooks of Diplomatic Enclave shine bright and the aroma of tuna and pork ragu comes wafting through the air every time the door swings open. Bearing the legacy of spaghetti alla chittara and balsamic vinegar, Le Cirque's new chef de cuisine Diego Martinelli (32) whips up excellence behind candy jar-adorned shelves. The legacy is sacrosanct, but in the kitchen, it's the palate of his diners that gets special treatment. Having been raised in Italy, a country steeped in a rich food culture that's most manifest at family meals, he can't help but make each ingredient a bold statement on tradition. 'Where I come from, you get all kinds of homemade pasta and I want to showcase that in this menu.' Wrapping up this heritage with a basting of contemporary finesse and a dollop of local customs, he dabbles in a delectable branch of nouvelle cuisine. 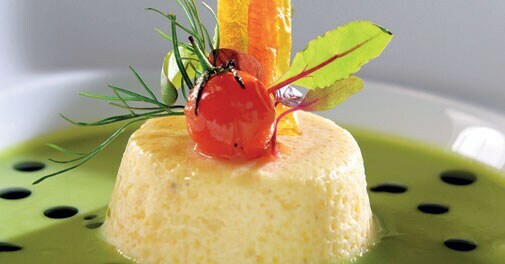 Parmiggiano cheese flan with chilled green pea and basil soup is a summer delight. Catering to a new breed of precocious diners who have 'been there, done that' requires tip toeing around spices, herbs, meats and, surprisingly, emotions. Chef Martinelli, who has latched on to the peculiarly Indian preoccupation with 'culinary purity', designs the new menu with the wariness of a crocodile trainer. But that doesn't dampen his enthusiasm as he flits from bench to bench with garnishes and purees, busy making his creations sublime. Le Cirque's New York heritage carries with it a pleasing yet slightly intimidating baggage of expectations. Matching those and opening a line of culinary dialogue with its list of loyal diners is a tall order that Chef Martinelli is ready for. He brings to the table the formidable experience of heading The Lighthouse Restaurant, Fullerton Hotel, in Singapore and Il Ristorante at Bulgari Hotels and Resorts, Bali. Contrary to cookbook ideology, he believes that recipes are not immutable truths. Tweaking a recipe or adding a new element to his degustation menu is quite the norm, he confides. "I cannot be happy if I don't play around trying new things." A typical creation of Chef Martinelli incorporates four broad flavours that strike the perfect balance. Frills are kept to a minimum, but herbs are a different case altogether. He's frank about it. "I'm a marjoram freak, (so much so that) I want a pillow stuffed with marjoram." The intensity of strong flavours might detract from the depth of a dish and, that's where balance comes in. Each of his elements adds to the blend a characteristic texture or flavour. Take, for instance, his treatment of sundried tomato skins or nasturtium petals. Fried to a crisp, the former becomes the crowning glory of a steam-baked flan and the petals are strewn over scallops. Chef Martinelli habitually visits markets to get an understanding of culinary preferences and expectations, so that's where you are most likely to find him. His favourite so far? Fennel. Having grown up with a kitchen garden, every patch of dug-up earth for Chef Martinelli holds the secret to oodles of flavour. In fact, the humbler an ingredient, the more the opportunity to surprise diners with its punch. In his kitchen, artichokes, pumpkins, celery, eggplant and peas get reworked into haute couture versions of themselves. 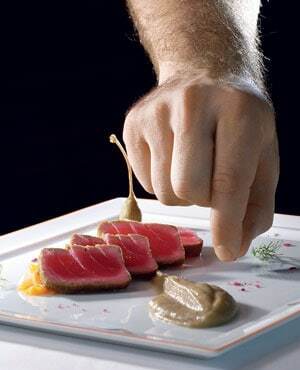 An unusual combination of pan-seared tuna, bell pepper jam and eggplant puree works well. Secondary cuts of meat are quite a favourite. Cuts of belly, cheek and shoulder treated with slow cooking techniques yield layers of flavour not usual of filleted cuts. The longer marinating period softens the meat without taking off the fibrous edge; instead, it provides the added benefit of therapeutic effect derived from elaborate cooking. It's just one of the perks of slaving away in the kitchen at odd hours. In this kitchen, expect braised and pan-seared preparations of utmost delicacy. Having picked up a trend of savouring the raw honesty of street food from Singapore and Bali, Chef Martinelli is a believer in local recipes. Italian roots notwithstanding, his fascination with Chinese and Thai food, especially their technique of serving vegetables-runs deep. The crispness and subtle spiciness of their greens garner them equal if not more attention on the plate, than protein. Just as the vocabulary of risotto and pappardelle reverberates with Italian familiarity, so does salmon and asparagus create a sense of French recall. In the Indian scheme of things, Chef Martinelli is set to incorporate these in all their full-blooded European glory. His notes are littered with intricacies in flavour that, at times, border on the complexity of a chemical reaction. For a chef given to plating perfection, the man is well into crafting a culinary mosaic of ever-shifting flavours and colours for Le Cirque.